Twice graduated and an avid explorer. Felipe dropped from the engineering world to venture into digital marketing and content writing. 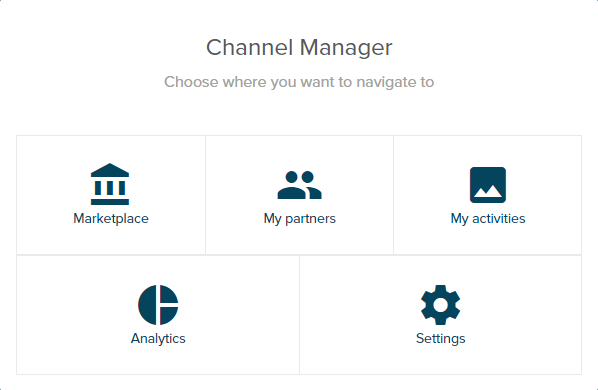 Today we are happy to announce that the new Channel Manager is released and ready for use! In this article, we will go through the main points of this feature and its brand new functionalities. Why we developed the new Channel Manager? The Channel Manager was conceived to be a place where suppliers and agents can meet to do business and manage their relationship. For that purpose, Orioly’s team created a place where you can offer your tours to resellers, ask to be someone’s activity reseller as well as manage your partners. All of that in a user-friendly environment. This is a dynamic area where suppliers promote their activities to resellers who are ready to do business. These resellers can be current users of Orioly or anyone from outside who signs up with an agent account. An agent who accesses the marketplace will see a list with all activities that are being offered and can send a request to be a reseller of the desired activity. On the other hand, the suppliers must list the activities they want to offer in the marketplace and fill out the information regarding commission rate for resellers and the active season of the activity. We designed this section thinking on making easier the management of all partners you will gather in the marketplace. Here you have an overall picture of all agents you are currently making business with and manage the open requests. Don’t worry if your favorite business partner isn’t in the marketplace. You can always invite someone from outside to be your agent, for that, you just need his company’s email and send him a request. If you already have a partner to resell your activities, there is no need to wait for someone to send you a request. All you need to do is click on My Activities section and assign him straight to the desired activity from the list. This section is very similar to the Analytics tool in the dashboard. The difference is that here you will have a big picture of the commissions paid to your resellers instead of booking’s data. With it, you have better control of your partners. Check who is doing a better profit or the activity that is selling the most. With the Analytics you can also have more insights that will be essential for your business. If you are as excited as us with the new Channel Manager, we invite you to log in and check the new functionalities or schedule a demo! To get a deeper understanding of the Channel Manager we recommend you to check the documentation we prepared regarding this tool. You can find it here: How to use the Channel Manager.